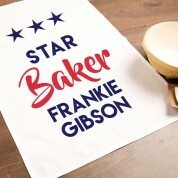 A unique gift idea for the star baker in your life! 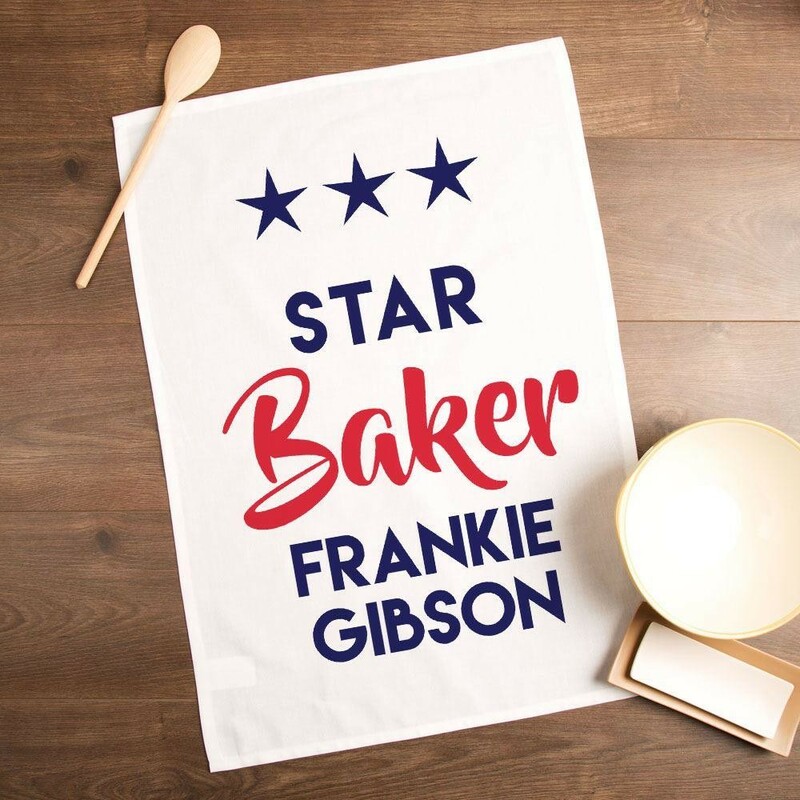 Any fan of the famous TV programme The Great British Bake off will love to own a personalised tea towel for their favourite room in the house. 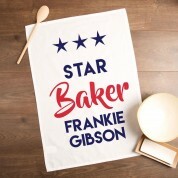 In British colours, the message on our cotton tea towel reads “Star baker”, followed by the recipients name in a bold font. It is made complete with three bright red stars. 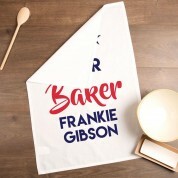 The simple yet eye catching design will suit men and women bakers of any age. We think it makes an excellent stocking filler, though it would also suit a birthday, anniversary, Valentine's day or any other special occasion. It will be a great conversation starter and they will love to show it off when entertaining guests. The simplistic design makes it timeless and it can be used and enjoyed for years to come. Our tea towels are carefully designed, personalised, printed and packed in house to ensure the best quality to our customers. A one of a kind gift with a personal touch.